Bicycle tours can be fun for the whole family and can be a great way for your kids to explore nature for the first time. Like any excursion, though, proper planning will help ensure you have a safe and enjoyable time. If you’re thinking about bicycle touring with kids, follow these tips to create the best possible excursion for you and your little ones. No matter how skilled your kids might be behind the handlebars, younger children will always need to move at a slower pace than adult riders. To make sure they don’t tire out quickly (and to keep them interested in the ride), let your children dictate the speed. 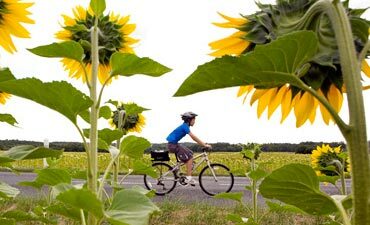 When bicycle touring with kids, allow the children ample breaks and time to stop and to look around at the natural surroundings. After all, that’s exactly what the trip’s supposed to be about! Taking a break every 30 minutes to 1 hour or so will be a welcome reprieve for the whole crew. If you're looking to go bicycle touring with kids, there's no need to travel far to find a memorable trail or route. Oftentimes suitable family biking routes won't require a ton of strenuous activity or meticulous planning. Try out a relatively easy trip in a nearby national park or another public land. 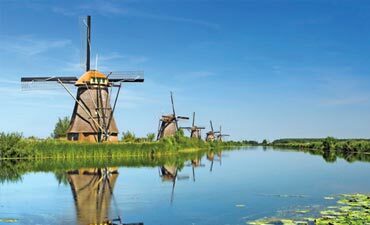 These simpler trips are sure to be just as memorable—without the jet lag or long travel times. It’s always a good idea to practice biking ahead of time on local trails. Even experienced riders who haven’t been on their bike seats for a while can benefit from refreshing their cycling skills with their kids. A good “practice day” will allow your kids to get used to the rhythm of biking and the endurance it requires to travel greater distances. Practice days won’t always go smoothly, and that’s OK! They’ll help you troubleshoot previously unforeseen problems that might occur when you do begin a big touring adventure with your kids. If you’re planning to pull children behind you, the standard Burley trailers are standard for a reason. For most bike tours, these light and sturdy trailers are the best option, and they provide protection against the elements as well. They also have adjustable sunscreens and a multitude of pockets for snacks and drinks. Opt for a two-child trailer, even if you’re only towing around one kid. Your child will appreciate the extra room, and you’ll undoubtedly appreciate the extra space for gear. Besides trailers or kids using their own bikes, there are plenty of other options for cycling with kids. Consider a tandem bike or pedal trailers. Both allow kids to participate in the action and are, therefore, better suited for older children. Along with choosing a good trailer, make sure to pack a few distractions. Toys, crayons and a coloring book—or even an instant camera—are good options for kids who’ll be sitting in a trailer. While the great outdoors is the best distraction of all, it never hurts to be overly prepared. 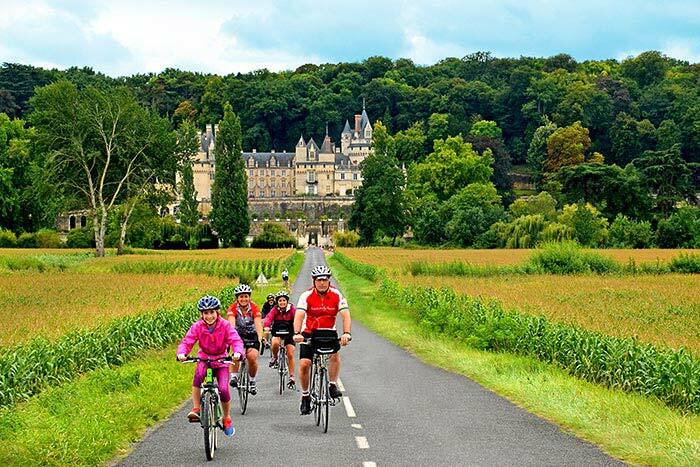 Bicycle touring with kids can be an unforgettable family experience. Just make sure you’ve put in the preparation and planning to help ensure it’s fun, safe and enjoyable for kids and adults alike!